It's always nice to have sisters that are similar sizes to you. One of the benefits is definitely borrowing (and stealing) from their closets. I even manage to get my hands on some of their clothes while I'm at school! 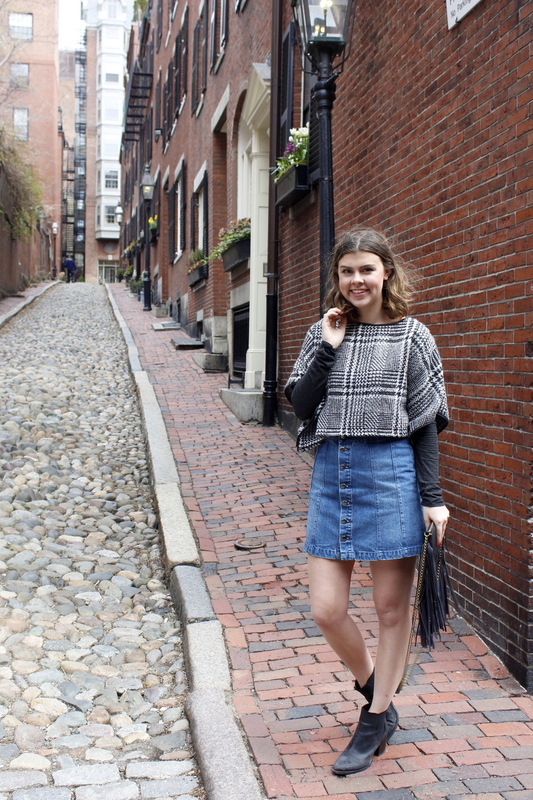 Molly and I linked up the other day for a little adventure to Beacon Hill and she brought along this cute jean skirt! What a breath of fresh air that it is finally spring!! 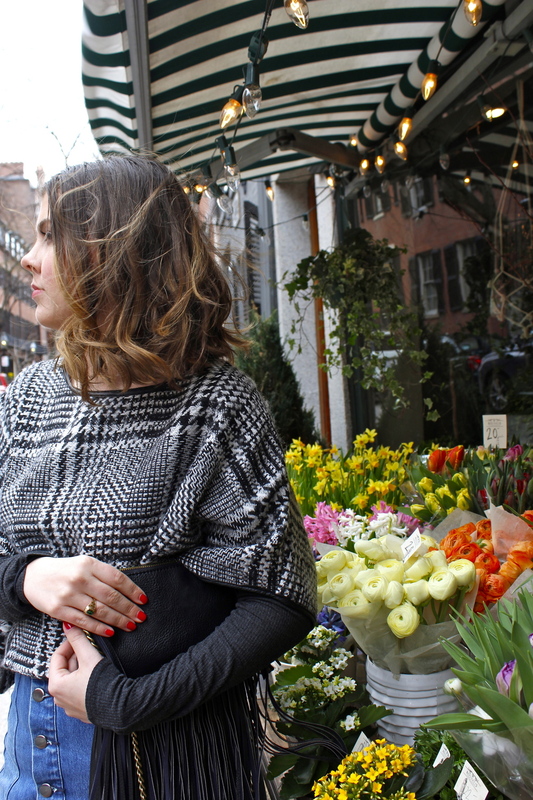 Paired with a houndstooth cropped sweater from Free People this jean skirt from Urban Outfitters looks adorable. There are a million different combos you can create with each piece!